﻿ Petra's Guest House, Seychelles Islands | FROM $69 - SAVE ON AGODA! "Nice room, good breakfast, nice hosts." Have a question for Petra's Guest House? "Prefect stay, the room is very big and lovely." "Owners are so helpful and breakfast was very good." "The breakfast was also good." Conveniently located in Seychelles Islands, Petra's Guest House is a great base from which to explore this vibrant city. The hotel lies 1 km from the city center and provides accessibility to important town facilities. With its convenient location, the hotel offers easy access to the city's must-see destinations. Petra's Guest House offers impeccable service and all the essential amenities to invigorate travelers. Guests of the hotel can enjoy on-site features like family room, BBQ facilities, tours, bicycle rental, smoking area. 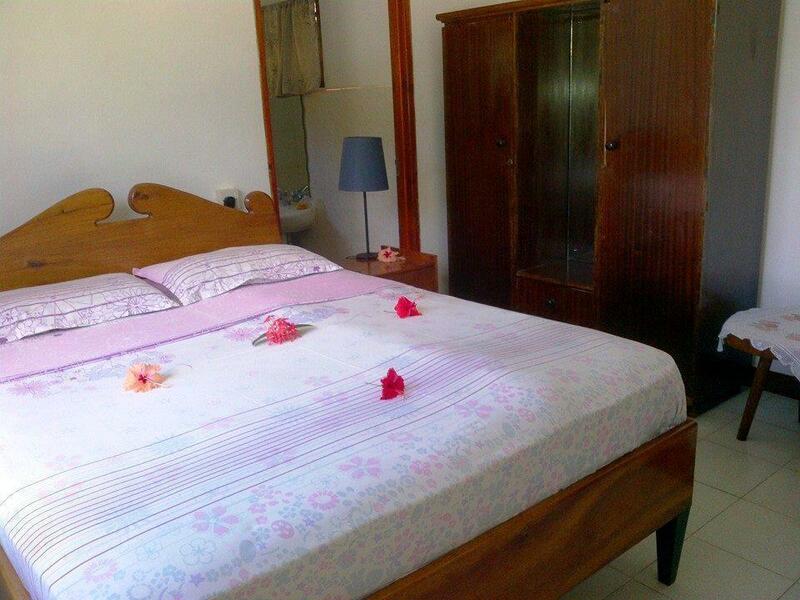 The ambiance of Petra's Guest House is reflected in every guestroom. non smoking rooms, air conditioning, desk, mini bar, balcony/terrace are just some of the facilities that can be found throughout the property. Whether you're a fitness enthusiast or are just looking for a way to unwind after a hard day, you will be entertained by top-class recreational facilities such as diving, fishing, garden. 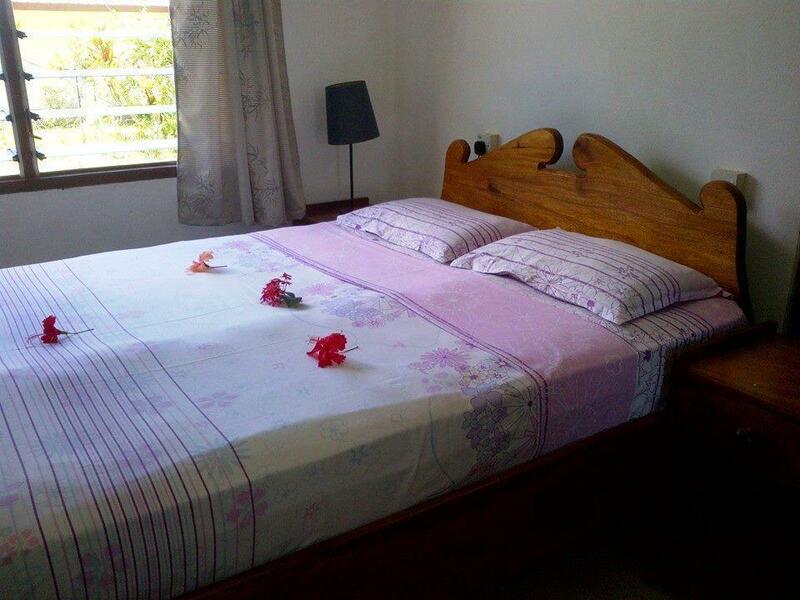 Whatever your purpose of visit, Petra's Guest House is an excellent choice for your stay in Seychelles Islands. "Petra's was a lovely place to stay as very limited budget op..."
Room had excellent A/C, and was nice and big, admittedly it was just me and not a couple in there. Breakfasts were big, with fruit and yogurt, eggs, toast, jams and juice. Been to La Digue before, and usually they try to rent you a bike as soon as you have arrived at the port but you should definitely rent from the guesthouse as they'll give you a better deal and you don't have to go find the person to give it back after. I would say the bathroom and toilet areas could use a bit of a renovation but for a solo traveller they were fine - hot water no problem. Kitchen area was well equipped but I did notice no microwave, but La Digue has more than enough takeaways/restaurants that you shouldn't really bother cooking. It's located a bit inland, but just head south from the pier, pass the hospital and it is the next left-you will know its the right one if it is lined with palm trees for the first 100 metres. Right turn when it becomes a path and not road to see 3 yellow bungalows. Very modest and nice lady of the house. Breakfast big enough, fresh and tasty. Rooms are clean. Kitchen is very large and equipped with common utensillis. Guest house is located near the port, but after sunset the road is unlit and you have to be careful not to overturn. It was a bit away from the main road but easy and quick to reach with bike (which you anyway should have staying on La Digue). Breakfast was bigger then expected: toasts, eggs, fruits, yoghurt and coffee or tea and juice. They also organize a snorkel tour which was nice, but a bit pricy for the quality of the snorkel areas.. There was a power outage while we were there, and Juliette provided us with a very bright LED lantern, as well as big bottles of water so we could get clean. She was very attentive to making sure we were comfortable during th his inconvenience. Helpful staff, value of money once La Digue is very commercialized and expensive place. It is not a luxury hotel. The room is very basic, but fulfills all your basic needs, is clean and if you are careful with the windows you won't have any problem with annoying insects. The breakfast was also good. The installations are of very low quality for the price paid and the bathroom was awful, many cockroaches were found and there was no answer from the owner. The place is mid far from center but that's not the main problem. I DON'T recommend it. The owner of the Guest House is cheating. She demanded payment in cash even though he received money from the agoda. Refused to return the amount paid twice. I strongly advise against staying in this place. HUGE Disappointed :/ The owner does not reply to the complaint. Cheated on 196 EUR!!!!!!!! If you are on low budget this is a great option. Staff (mainly Juliette) is super friendly and helpful. She makes breakfast for you every morning (juice, tea/coffee, toast and egg, jam, cheese, and fruit). The room is simple and basic but with A/C, so not expect much more. There is a large kitchen and living room that everyone can use. Although you can eat out for €5 at a local place so I don't think you'll bother to make lunch/dinner. What could be improved? - It would be nice to have some variation on the breakfast side (maybe change the juice flavour, different fruit, etc), especially if you are staying for several days. - The bathroom was ok but the shower might need some renovation (and deep cleaning). We stayed 6 nights there and were completely satisfied. The owners are so nice and gave us always a good feeling. Be aware there is no Internet there. Breakfast was satisfying - Egg, Toast, yogurt and Coffee. Small, simple room with old fan and unbelievably dirty bathroom. The shower was so dirty and kind of broken, that it was really uncomfortable to use it. It was ruining the opinion about this nice place with great owners. You can hire a bike for fair price, which is handy, cause it is quite a walk anywhere. Ideal for short stays. Petras G.H. La Dique is generaly overpriced.like Petras G.H. for €55.- i got the first night a room with bathroom outside and with the morning and afternoon sun on the outside walls hot like a sauna!everybody else would have been ashamed to offer a bad deal like this! !2.day after heavely complaining i got a room with bath.also very strange between 8 and 9pm she looks the frontdoor.i felt like locked in,even i could have gone outside using another door,but which i could not lock from outside.then 2 police came by at night and said,they looking for a robbery! !this on a tiny island with 2000 residence! The other very disturbing thing in the Seychelles are the totaly outrages Ferryprices.4 times more then the locals.a flight Mahe to Praslin ist only 10%more!! from Africa for examble Addis Ababa to Antananarivo via Seychelle $ 290.- with Kenyan. Everything was as expected. Nice room, good breakfast, nice hosts. The walking distance to the “city center” is around 7 minutes. Juliette was very friendly. We had a nice breakfast every morning. Situation very calm. Everything was more than used. We didn't expect four star quality but you can expect clean rooms and it was overall not a very welcome atmosphere. We left after a couple of hours because we didn't feel comfortable at all.